I am always surprised with the diversity of local food that shows up at my farmer's market. I consider it a treasure hunt because I marvel at the familiar and not so familiar food. Sometimes I am even more surprised that I just have no idea what can be grown in the Pacific Northwest or when it's in season. And this is my most favorite part of cooking, using what is locally available and fresh. 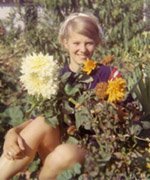 After visiting my farmers market webpage, here are a few things I found that are in season for July: tayberries, loganberries, apricots, apriums, red Russian kale, Chinese mustard, squash blossoms, garlic tops, hazelnuts, oysters, honey, and sunchokes. I bet you've heard of a few of these. What about the rest? Summer is certainly here in the Pacific Northwest! This is the best time of year to take an adventure either to a local farm, a fruit stand, or a farmers market to buy delicious seasonal produce. Each week on Sundays, I am going to make it a tradition to pick one seasonal ingredient to write about. Not only will I let you know what I found, I will also post a recipe so you can see first hand how to take an ingredient from farm to table. This Sunday I bought 12 pounds of fresh strawberries from a produce stand down the street from me. They came freshly picked from a farm in Mount Vernon, WA. Oh, they smelled so sweet and the minute I bought my flat I ate one. It was perfectly ripe and full of strawberry sweetness. Nothing compares to an in season strawberry. 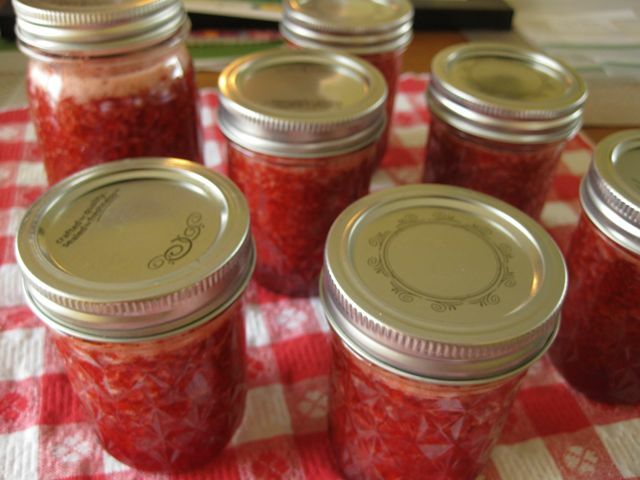 When I got home and put the flat of strawberries on my counter, I anticipated I would freeze them all to later use on hot cereal, in pies, to make strawberry sauce for waffles, or to use in smoothies. I decided to freeze half of them (6 pints). I washed them, let them dry, and placed them on a cookie sheet to freeze individually before putting them in Ziploc bags. I used the remaining to make freezer jam and a simple strawberry balsamic vinaigrette for a salad with my dinner. Below you will find the recipe to my salad dressing. 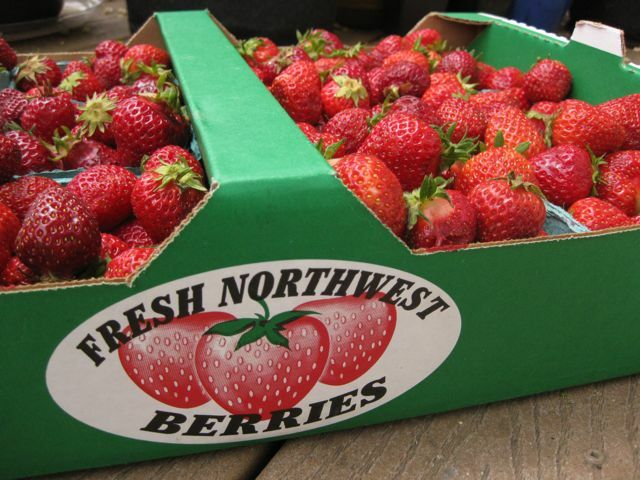 If you can, get out of the grocery store aisles and find yourself some local strawberries! They won't be in season for much longer. Mash or puree (in a food processor) the strawberries. Add the balsamic vinegar and sugar. When dressing is well combined, taste and season with salt and pepper as needed. 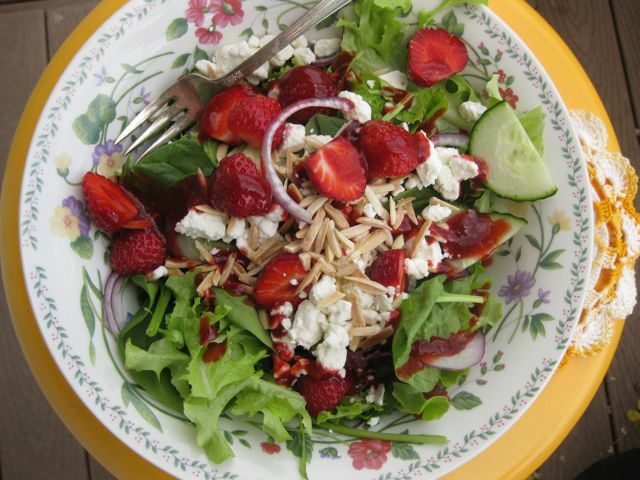 Serve with a salad of fresh greens/spinach, toasted almonds, feta cheese, cucumber, red onion, and fresh strawberries (or whatever you think sounds good). This salad would also be delicious with grilled salmon. Enjoy!